In the work bowl of a food processor, process the Oreo's until they are completely pulverized into a small crumb. Add in the cream cheese and process until it forms a dough-like ball. Set aside. To make in molds, pipe chocolate into the mold, then flip mold over and tap out excess chocolate. Form truffle into a small ball and press into the mold. Freeze for approximately 15 minutes until chocolate has hardened. Remove truffle from mold and repeat the previous step. Instead of pressing in a new truffle ball, place the other half of the formed truffle into the new mold. Remove excess chocolate around the edges. Place in the freezer until chocolate has hardened. 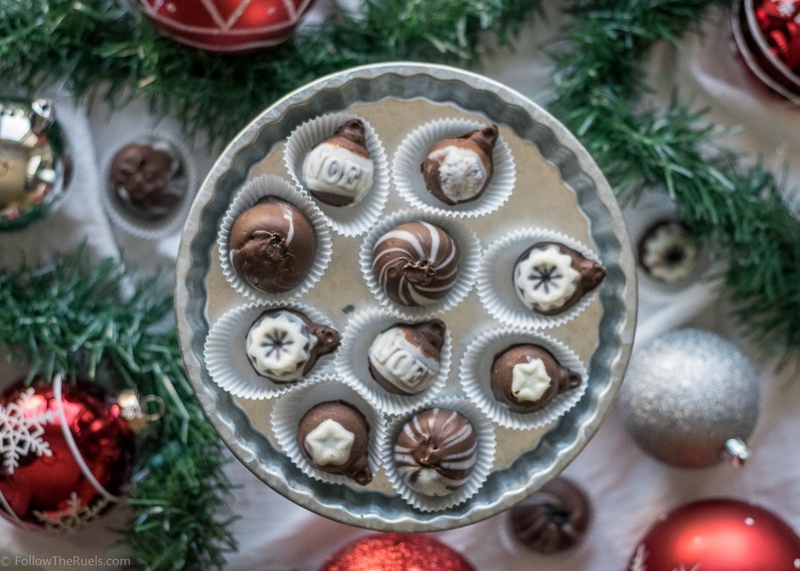 Form truffles into small balls. Place on a baking sheet and freeze for approximately 15 minutes until hardened. Meanwhile, pour melted chocolate into tall glass. Take frozen truffle and place on the end of a toothpick, Dip truffle into the chocolate, then place back on the baking sheet. Once all truffles are done, place back in the freezer until chocolate has hardened.